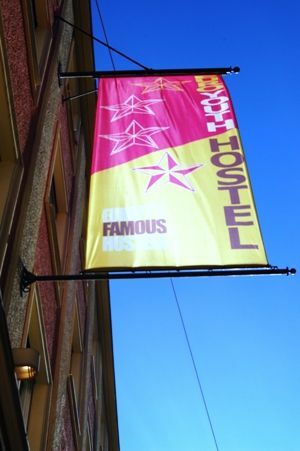 We’ve been Let’s Go’s favourite Munich Hostel for nine years running! They said: 'informed staff, cheerful rooms and a busy bar make this Munich's best hostel. 'Lonely Planet wrote, 'the party never stops at the friendly Euro Youth Hotel, where Euro and non-Euro youths alike work on international relationships in the bar and lounge. 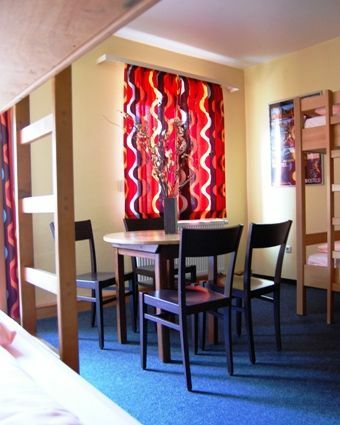 Rooms and facilities are well maintained and the staff are a good source for info on Munich and other destinations. 'You can choose to enjoy the privacy of a single or double room, or make friends in one of the small or large dorms. Ben linen is included and the beds are made for you.Every room is equipped with its own wash-basin. The brand-new showers and toilets are either to be found inside the rooms or close-by in the corridor.Our buffet breakfast is included in all single, twin and double rooms. Please note that the breakfast is not included in the price of your booking in the shared rooms. The fill-your-boots all-you-can-eat continental breakfast buffet is available from 7am to 11am for a bargain €4.30. We’re one of Europe's Best Hostels, with a bar selling Munich's best beer (and that's saying something) from only €2 during our three-hour Happy Hour, which runs from 6pm to 9pm. We also serve dangerously cheap cocktails and Jaegerbombs. Our large-screen TV shows all major sporting events, including US sports, Champions League and English Premier League. Please also note: we do not have a guest kitchen. We’d like to but local Health and Safety laws make it impossible. We do, however, have supermarkets and cheap restaurants all around us which we'll be happy to point you in the direction of.We have free high-speed Wi-Fi in all rooms (up to 50Mb/s), free walking tours, free lockers and free tea. There’s also discounts on pub crawls and bike tours. We have cheap laundry facilities, internet access, board games and a book exchange. We’re located just 80m from the main train station (in a quiet side street) and a couple of minutes walk from most of Munich's most famous attractions (the Hofbrauhaus, Marienplatz, etc).The hostel is housed in an historic building, one of only 3% of the buildings in the vicinity of the main train station to have survived WWII fully intact. Built in the late 19th century, it was originally one of Munich’s very first luxury hotels (the Astoria).Please note that we only accept guests between the ages of 18 and 35 in the 12-bed dorm. We're in a quiet side street two minutes from the Hauptbahnhof (main train station). Leave the Hauptbahnhof through the exit next to platform 11. Turn left and walk along Bayerstrasse for 50 yards. Turn right into Senefelderstrasse. The hostel is 50 yards down on the left-hand side.